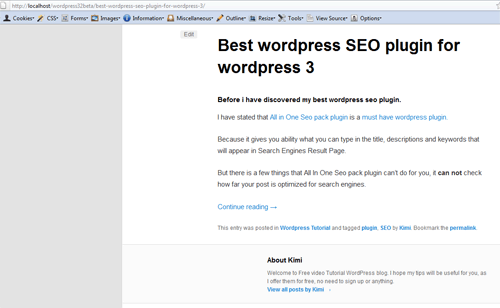 About two or three days ago, I have received email from SEOpressor plugin website, saying that I am now able to download the most latest version of this best wordpress seo plugin. I was so very excited because the email claims that this plugin has so many improvements and most important compatible with the latest wordpress version, wordpress 3.2.1. Most improvement that I really love is the detection of h1 h2 heading and also h3 heading based on the theme you are using. Like in Thesis theme, we have already h1, so this newest SEOpressor plugin is now already detecting your h1 of the theme automatically on its settings. In fact this was a little issue of some bloggers that have used a theme which already have h1 heading tags. The other improvement is the speed, that it is now much faster than the older version. The other important update is the keyword density percentage that is more accurate and up-to-date with Google Panda new algorithm, which I think really great. What are other improvements of SEOpressor plugin update? There are other improvements that are explained shortly in the email that is delivered to you, if you are an authentic owner of this plugin. If you haven’t, you might want to see my video review of this SEOpressor plugin which is labelled, best seo plugin, which can really optimise your blog post for SEO. There are so much more updates and improvements than I have mentioned above in the first paragraph, and this is why I was so excited to try. But if you have not updated yours, you should read this post further..
Disclaimer: This is my own problems and issues with this blog, and other blogs, but it does not mean that it will happen to you. I still recommend this plugin. I just want to share what happened after I have updated my plugin. I have tried all in four blogs of mine, two in localhost, two of them are this blog, and other blog which is hosted in different server. So this is definitely not caused by my hosting provider, since I have tried in two different ones, and it gave me the same result. In the localhost, I have actually installed wordpress locally offline. 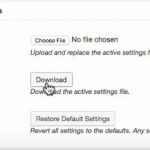 Here is the quick link installing on Mac, Windows, or Ubuntu. I have actually wanted to wait until my other blog which is hosted in other webhosting gives me different result of the SEOpressor plugin update. But because I saw that it had automatic detection of h1 heading, so I decided to install in this blog too. My sitemap.xml is updated crazily, and too frequent. Whenever I checked it, the structure of the latest post was always changed in seconds. Actually, a commenter named, Claudia Lo, commented in my Twenty Eleven child theme tutorial, asking, “where is the video” because my post said, it has video, but there was no video there. The comment is not there, because I lost comments that are coming between 17-20 August 2011, since I have restored the whole blog from my backed up database. But I reply to Claudio Lo saying thanks for her catch. Some of my posts are cropped, it does not display the whole article, so only half of them. At first I thought only a small glitch, but it was more than one posts which were cropped and shortened. The post that is cropped in my localhost test. My result is exactly the same with above, but it was not too disturbing, because I only have several posts which have the video, so I embedded the video manually afterwards. 3. In localhost using WAMP server, using the same plugin like my two blogs above. Gave me the same result and issues. But the result remains the same, I have the same issues. 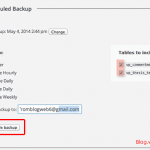 Before you update your SEOpressor plugin, backup your database. My final action? I have restored this blog from earlier database that I always frequently backed up, and use my old version of SEOpressor plugin. My reason was, I don’t want to edit one by one of my posts to display my videos back, so that’s why I use the older version and wait until it is probably updated again without some bugs, that I have mentioned above. If you want to try how this newest version will affect your blog, I would strongly recommend, that you install wordpress in your computer, and copy the exact same of your whole blog there, see my post, copying online blog to computer. Then install all of your plugins that your current online blog using in the local blog, then finally you can use your newest version of SEOpressor. Check whether your posts are suddenly cropped, video embedding, at least these two issues I have immediately noticed. I had those issues, and when I just replaced the newer with the older version, it didn’t fix the problem, so I decided on restoring the whole blog database, before I updated the plugin. Have you updated yours? What is your experience with this version 4.3.02 of SEOpressor plugin?